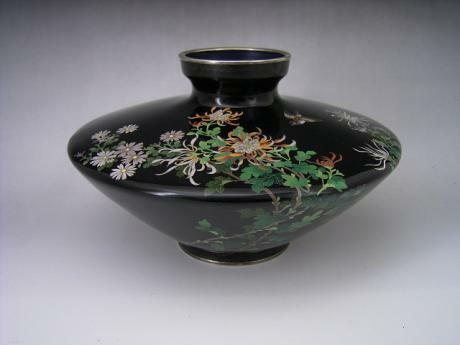 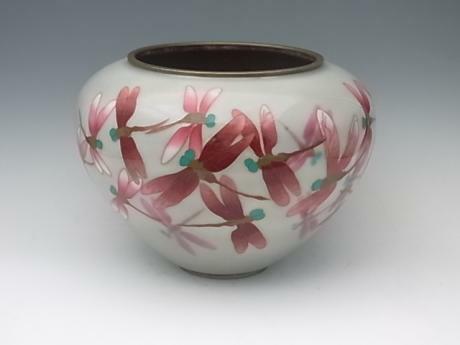 Japanese Early-Mid 20th Century dragonfly design cloisonne vase by the Ando Cloisonne Company. 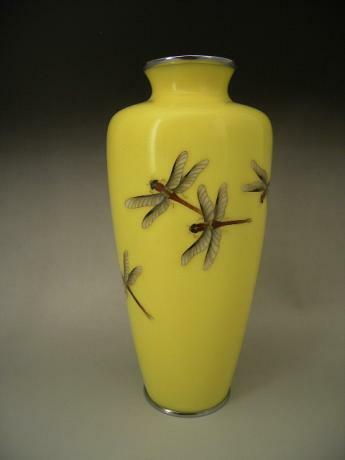 Four dragonfly done with gold toned wires on yellow background. 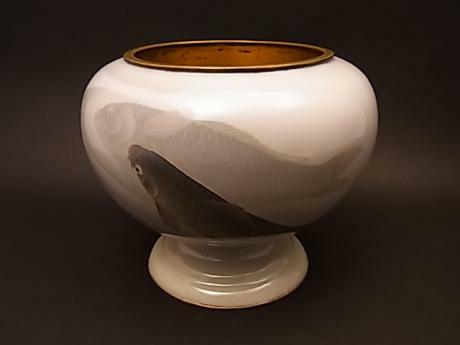 The vase has chrome rim and base. 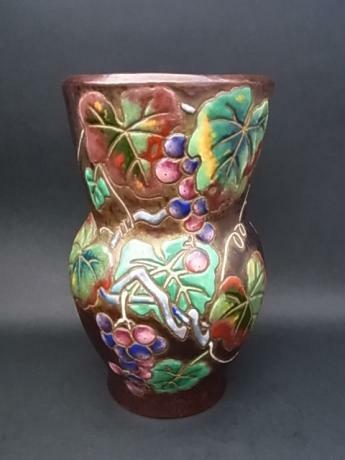 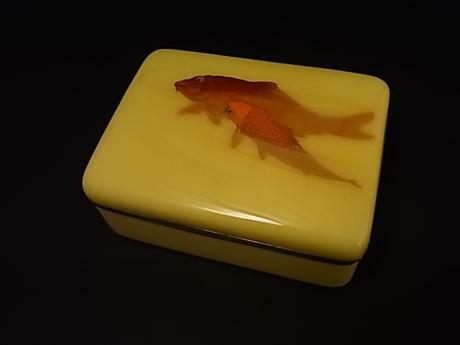 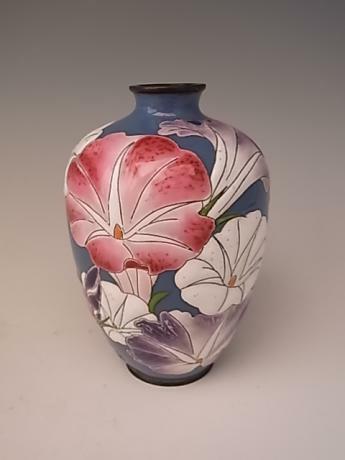 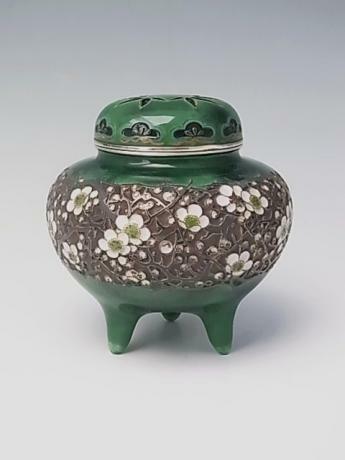 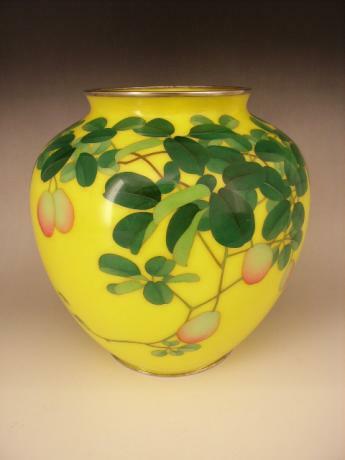 The vase measures 8 1/4" tall and 4" in diameter. 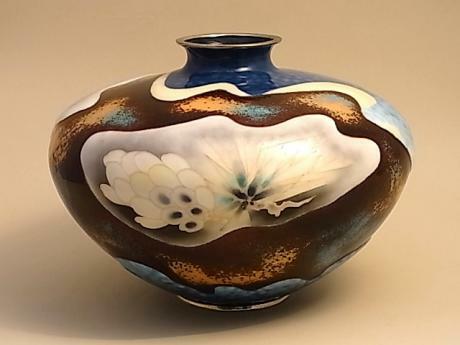 The vase has the Ando mark done in gold toned wires on ..